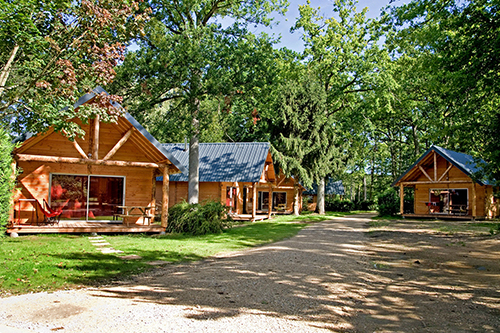 Huttopia Rambouillet, located in the Yvelines (department 78) in the Paris region, offers seminars in the heart of nature just 45 minutes from Paris. 9:30 am – Supervised by chefs, they learnt the tricks used by professionals and took part in a team challenge like the TV series Master Chef. The aim: to prepare lunch in small teams, which they then all sampled afterwards. The event was full of games and challenges, a dynamic activity based on a theme that encourages collaboration: cooking! 2 pm – After everyone had enjoyed the meals they had concocted, Vanessa had planned a free afternoon for her teams. 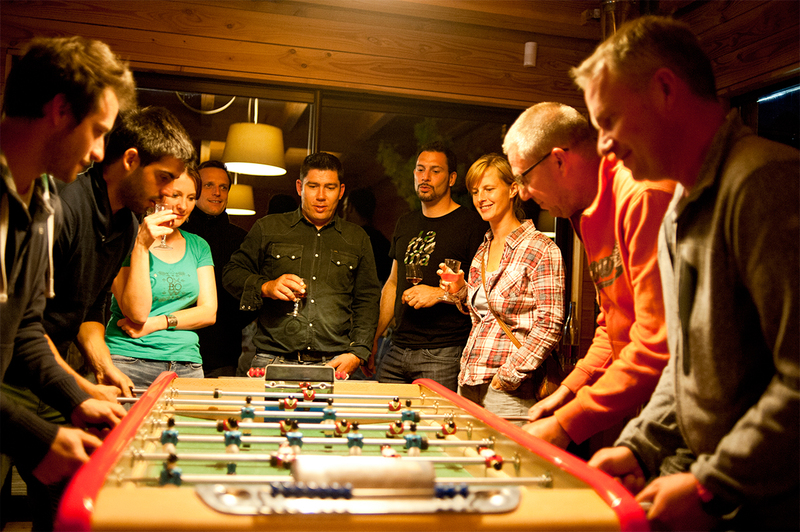 Some people decided to have a pétanque tournament, while others played volleyball and table football. Those looking to relax chose to play board games in the central lodge or simply enjoy a walk around the Etang d’Or lake beside the site. 4 pm – The teams got together for afternoon tea in the Central Lodge before taking a dip in the swimming pool. Pure relaxation! Vanessa did well to suggest they brought their swimwear with them! 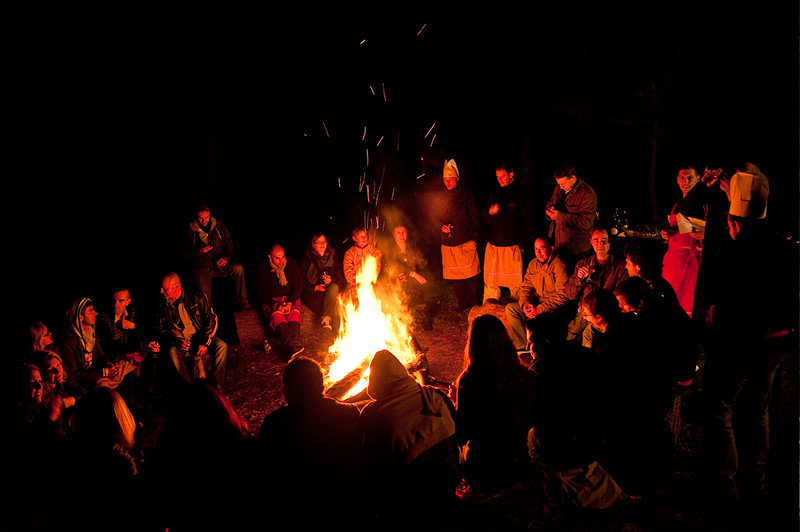 7 pm – Once everyone had taken showers, the team got together for drinks around the campfire, just below the Central Lodge. The site manager brought the team marshmallows to toast on the campfire. 8:30 pm – Dinner time on the terrace. With potato gratin, vegetable tian, and all kinds of grilled meat, it was hard to choose. 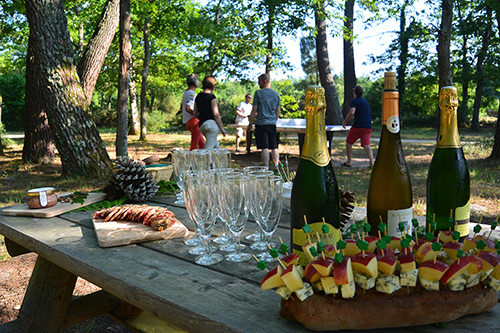 The Barbecue menu created a sociable and relaxed setting and brought the teams together for a mouthwatering meal. 11:30 pm – The end to an action-packed day; night fell on Rambouillet forest, while Vanessa’s team drifted off to sleep in their wood trailers and cahuttes. 8 am – The participants woke up to the sound of bird song and made their way along to the Central Lodge for an energizing breakfast. 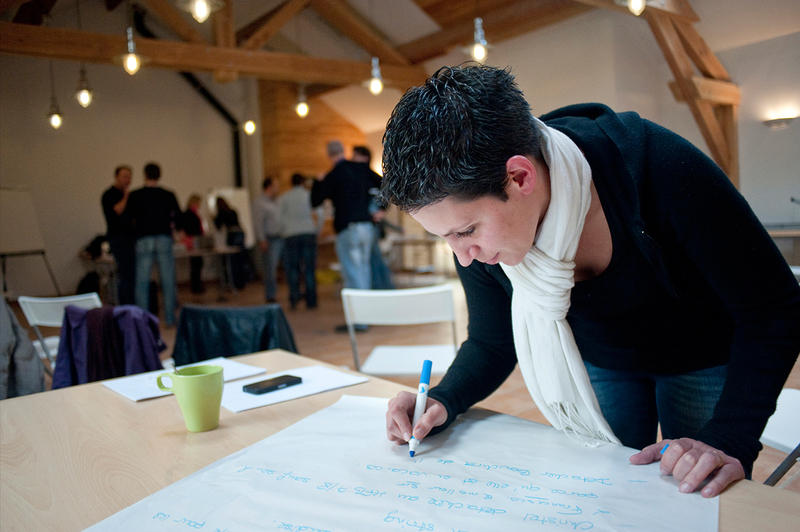 The days’ team-building activity took place in the plenary room, bathed in natural daylight: Vanessa had organized a Sustainable Development Challenge based on general knowledge games; developing resource reduction strategies; material recognition tests (purely by touch or smell); games based on luck, skill, and speed; and puzzles and riddles about sustainable development. In this exceptional setting, the message Vanessa wanted to give her team about sustainable development took on its full meaning! Breakfasts in the Central Lodge for a great start to the day. Lunches offering you the chance to get together in a relaxed and friendly environment. Evening meals with original and sociable dishes based on local ingredients and flavours.